The issue of cleanliness is one that’s always present in our minds prior to the beginning of a home improvement project. Flooring projects are no exception to this rule which is why many times Chicago homeowners choose to delay their flooring project more than they should. But we realized that if properly approached, the mess associated with a flooring project can be drastically reduced. Which is why we keep on receiving these type of testimonials. The solution: to avoid dirt from being carried in the house, our workers are required to wear protective boots while working in your house. All the doors of the rooms we are working in are sealed to ensure dust containment in the area of the house that the project is on. When working in the kitchen area we will seal your cabinets using tape and plastic to ensure that no dust will go inside your cabinets. We will remove the base shoe prior to beginning the job to ensure no damage will be done during the sanding phase. The base will be covered with tape and cardboard to avoid damages during the sanding/finishing phase. All the cuts are being done using tools equipped with dust collection bags to ensure minimum dust exposure of the property. No matter how hard we try, there is still going to be some dust in the air. This is why, once the project is completed, our cleaning crew will come in to clean up your property to the point where it will be just as clean as it was prior to the beginning of the project. Other: Smoking is prohibited in the house and when smoking outside of the house, the cigarette butts are always collected in a special can and thrown in the garbage. Most of the flooring related fires, start from the garbage bag. Either from the dust collected from the old floor during the sanding process or from improperly extinguished cigarette buts, thrown in the bag and left unattended overnight... The three basic rules for a safe wood flooring project are: never smoke in the house, always empty the collecting bag from the sanding tools, never leave garbage bags in the house overnight. The toxicity that comes from sanding and finishing a hardwood floor has always been a problem the homeowner seemed to be stuck with. The awful smell emanated by floor finishes is part of the reason many homeowners are hesitating when it comes to planning a flooring project. 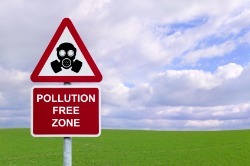 Even worse, and unknown to many homeowners, is the fact that even after the smell is gone, the toxicity remains. But if you understand where the toxicity is coming from and what are the steps required to avoid it you can protect yourself from these problems. 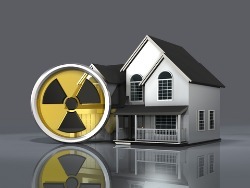 The two sources of toxicity a homeowner have to leave with after finishing an improperly executed flooring project come from two sources: the dust in the duct system and the volatile organic compounds emanated by the freshly applied finish. These are two dangerous, well hidden, enemies that you will have to live with if the job was improperly executed or if you made a wrong choice in selecting the floor finish. We’ve addressed them both and eliminated the problems that come with it in the process. The danger of dust getting in the duct system represents an aspect often overlooked by the homeowner and most of the times by the contractor. While the contractor has an incentive to forget, since he will save time and money by doing so, the homeowner simply doesn’t realize how important it is to address this issue prior to starting the project. Once the dust is in your duct system it will be continually blown into your house, sucked back in the system and blown again until the ductwork will be cleaned by a professional contractor. The symptoms associated with dust in the ductwork are varying from the mildest ones like dry throat, insomnia, constant discomfort to the very dangerous ones like developing different forms of cancer in the long run. This is why, is important to address this aspect in the beginning before it turns into a problem. We did so in a very simple, still very effective, manner. By sealing all the vents and by stopping the HVAC system during the execution of the project, all the problems associated with dust exposure after the floor sanding/refinishing is done, have been eliminated. Flooring Projects Shouldn't be Toxic! VOC’s (volatile organic compounds) have been for many years the hidden enemy nobody was aware of. They are a part of most, if not all, old finishes and still a part of many of the existing finishes today. Volatile Organic Compounds a part of most stains and finishes are known to have negative effects on one’s health, varying from sore throat and nose to the extreme cases where some of these compounds are believed to cause cancer in humans. Today, many people are aware of their presence in various types of finishes and are always trying to avoid using such finishes. We’ve upgraded our line of products to meet your needs and are now offering VOC FREE floor stains and finishes along with the other types of finishes we’ve always offer. We will discuss your options with you to make sure you understand the differences between the two categories and help you reach a decision. Regardless of the choice you’ll make, we will make sure that you will make an informed decision. Go to Dirt, Dust and Toxicity... top of the page or see below for other important parts of our process. The completion of a flooring project is always associated with stress, big mess, lots of money and time invested by you, the homeowner. We understand this and developed a process designed to protect you from these "inconveniences". Please click here for details. Buying a product backed by a strong warranty is very important for every single one of us. Many companies learned this litle secret and are using their warranty as an advertising tool, making promises they know they can't and will never keep. We believe that putting our money where our mouth is, would be the best way to prove that our warranty is not just a piece of paper. For more details, click here and read about our warranty and why we believe it will give you piece of mind. As much as we try to give you an insight on all the in and outs of the flooring businees, as much as we try to help you make the right choice there are always going to be these details that belong to your house and your house only. These are the details we cannot anticipate, the things we cannot write about. For more helpful flooring advice as well as a free estimate on your upcoming project, please contact us. Understanding how and what to choose, for your floor will determine the lenght and quality of your wood floor for many years to come. We understand all this and put together a series of articles that will help you make an informed decision. Please click here to browse through them. Learning the insights of this business will give you the edge in your relationship with different vendors or flooring contractors. At Chicago Flooring Innovations we understand that investing in a flooring project represents a big commitment for our customers. We are very much aware of the challenges you might be facing when starting a project like this. Chicago Flooring Innovations is ready to solve these problems, as well as answer every question you might have. We understand that price, cleanliness, timeliness and quality are equally important to you. Your complete satisfaction is our goal. We offer a three year guarantee on all labor and allow the customer to keep 10% of the labor cost for another three months after the completion of the project. Consider this "money in the bank" for any issues that may come up after the project is finished. Wow! The walnut border installed by Flooring Innovations is gorgeous. I can’t wait to have a party and show it to all my friends. Marius, you definitely enhanced the look of our home, as promised. Engineered wood flooring uses a top layer of real wood with other types of wood (usually plywood) beneath it. Engineered flooring is not the same as laminated wood flooring. Laminate wood has melamine-infused paper on top and it is not 100% real wood. Click here to learn more. Copyright 2009-2016 - Chicago Flooring Innovations. All rights reserved.